"Born To Die" is the stunning title track taken from Lana Del Rey's forthcoming debut album due out January 30th in the UK (Polydor) and January 31st in the U.S. (Interscope). According to Lana, "The songs I've written are an homage to true love and a tribute to living life on the wild side." Besides "Born To Die," other confirmed tracks on the album include "Million Dollar Man," "Off To The Races," "Blue Jeans," "Carmen" and of course "Video Games." The new single is set to come out in the UK on January 23rd, backed up by some undoubtedly fierce remixes from Damon Albarn, Woodkid and Clams Casino. While the song offers no surprises, it's far from being a disappointment. "Video Games" and "Blue Jeans" were both subtly amazing. They offered nothing in the way of big anthemic choruses, soaring high notes or catchy beats, instead focusing on the unique and retro tone of Del Rey's voice. 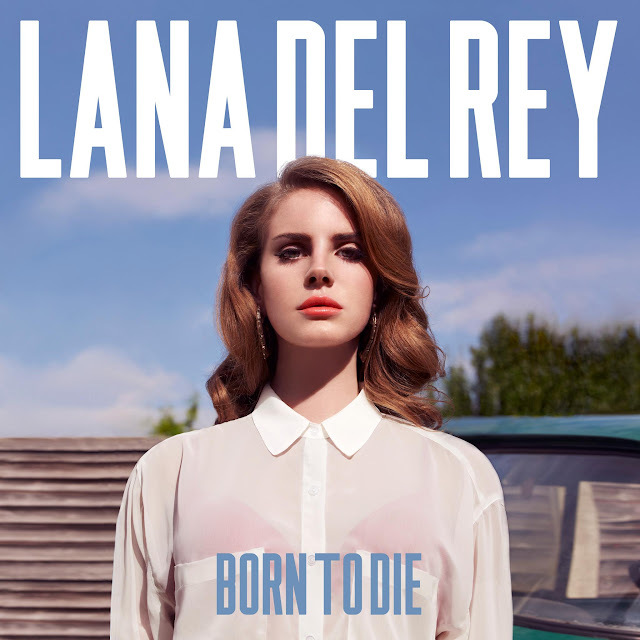 With the release of "Born To Die," Lana Del Rey reiterates the fact that less is more. Pop music truly can be beautiful without pomp and circumstance. Since the release of "Video Games," Del Rey's official first single, the girl's been blowing up on the blogosphere. People either love her or they hate her. I for one, am in head over heels in love (check out my 'Ones To Watch' post). Sure, I take issue with the fact that "Lana Del Rey" is little more than a character created by a label to sell records, but her talent is undeniable. For me...talent overshadows politics and Lana Del Rey has proven herself in the talent department. After her homemade video for "Video Games," released back in July, amassed over 8 million hits, the song started gaining momentum. The song hit #1 on iTunes in nine countries including the UK, Australia, Holland, and France. The song went on to peak at #1 in Germany and a respectable #9 on the Official UK Singles Chart. The song has won over critics worldwide as well, earning the prestigious "#2 track of the year" title from Q Magazine, with the magazine also naming Del Rey the "Best New Thing." While U.S. success has been elusive as of yet, I'm hopeful that America will come to it's senses soon enough. Check out the sweepingly cinematic video for "Born To Die" below. Directed by Woodkid, the video was conceived by Lana Del Rey herself. The video is truly epic, with no expenses spared by her label. I was worried that with the release of her first major label-funded, big budget music video, we'd lose some of the darkness that we've been seeing in Del Rey's homemade productions. Well, don't you worry. "Born To Die" is filled with heartbreak and tragic loss, all the while showcasing stunning camera work, beautiful scenery and even two adorably ferocious tigers. Lana Del Rey looks like a goddess. The video truly is the perfect complement to an already perfect song. I cannot WAIT for this album to drop. While you're waiting, why not download the "Video Games" remix EP on U.S. iTunes HERE.